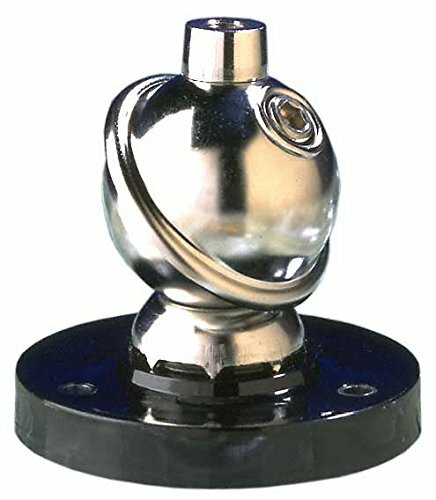 180 degree adjustable reinforced stainless ball. Professional quality Cycolac bases for greatest mechanical stability. Exclusive "C" backup plate allows external installation. Supplied with all mounting hardware and the cork pad. Applicable with all Hustler and other 3/8" x 24 thread antennas. If you have any questions about this product by Hustler, contact us by completing and submitting the form below. If you are looking for a specif part number, please include it with your message. Dodge Ram 2009 & Up Front Hood Antenna Bracket No Drilling Stainless Steel!